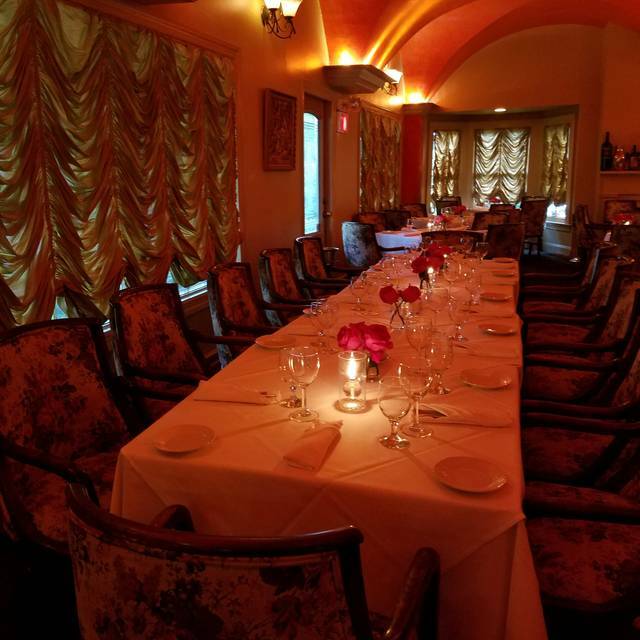 Scalini Fedeli can be rented out for private parties. Sometimes you just want to go a beautiful place where people are dressed up, men is sportcoats, ladies in dresses, a beautiful atmosphere. Very good food and service. They just need to slow down the food a little rather then rushing the food out. Overall great place I highly recommend! Ask for Bernard the waiter he is excellent! Just as I remembered it from years ago. Amazing!!!! My wife and I had a wonderful time, delicious food, wonderful staff. Felt like royalty. Great value for the excellent food and service. Scallops, salmon and chocolate truffle desert were all excellent. It was one of the best meals I have ever had in a pleasant setting with a good waiter and fine wine. Always wonderful and this was no exception. The food is superb and plentiful. 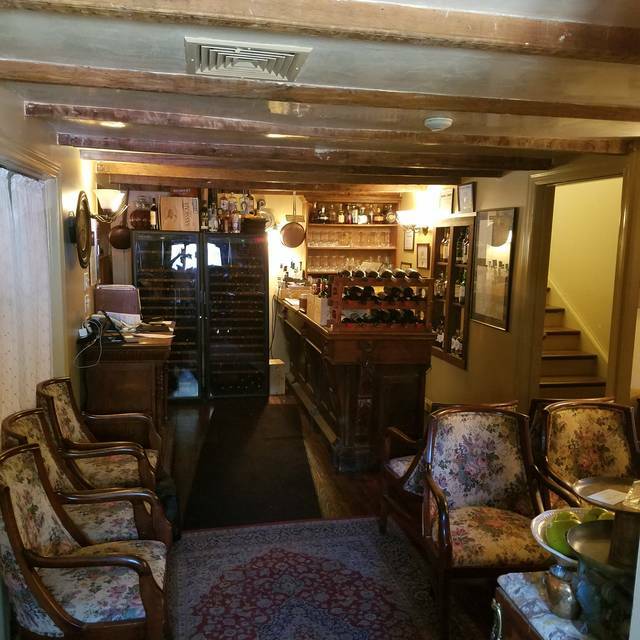 The ambiance is romantic and for what it is, it is a surprising bargain, especially on weekday nights when you can bring your own with no corkage fee. 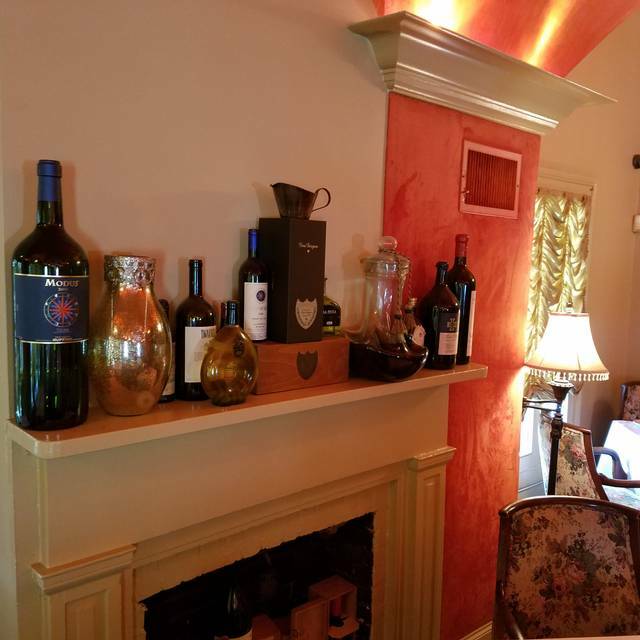 Scalini Fedeli has been my favorite New Jersey restaurant since it opened. 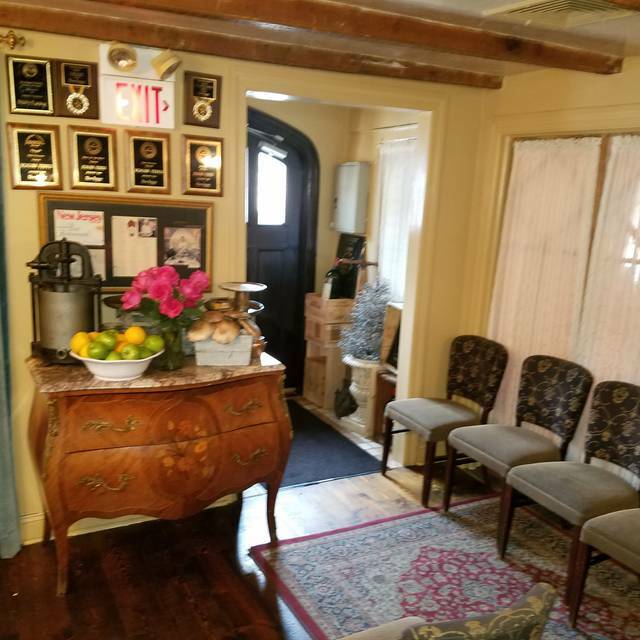 Consistent for over 20 years in the highest quality food, service, ambiance and value. We had a great meal on Saturday night the 6th. First time at this location. Food was delish! Portions are plenty. We absolutely loved all the amuse-bouches. our appetizers and main courses. He was busy and it was hard to get his attention. Excellent food, excellent service, great value. Table was ready when we arrived. Staff very attentive and don't rush you out. Our first time here. Converting a house into a restaurant gave it a very unique feel. Our waiter Bernard was very helpful with the menu and especially wine pairing. Outstanding! Food is fabulous. Great portions and a great value! Staff is friendly and professional, willing to please! Extraordinary - pastas not to be missed. Service attentive to our needs. We had a reservation at 815 but were not seated until 850. We found this to b unacceptable. The restaurant was also way too noisy. We were unimpressed and scalini usually does a great job. Food was surprisingly great: creative, beautifully presented, delicious. Warm scallop carpaccio was stunning, amuse bouche of a shrimp with mushrooms in a mustard sauce was perfect, duck in port and truffle sauce was equally wonderful...and it continued. Weekday policy of no corkage fee for first bottle makes this an affordable high end restaurant. One of the best Italian restaurants around!!!!!!!!!!!!! We were very impressed with Scalini Fideli. The restaurant is lovely, if a bit dated. The wine list is interesting. The food was absolutely wonderful. You get excellent food that is well worth the money. All the little extras were fantastic. One of my absolute favorite Italian restaurants in the country!!! Never disappointed. 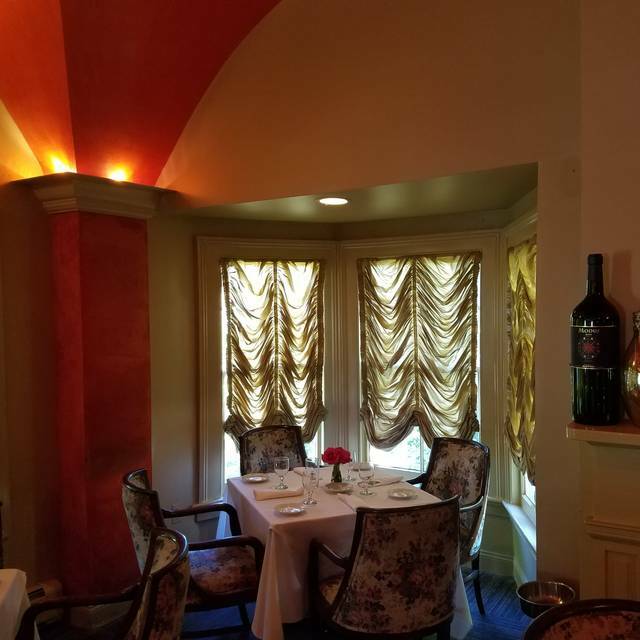 You’re not only guaranteed a fabulous meal at Scalini Fedeli, but the ambiance, gracious wait staff makes coming here a special evening. Ths was our first time at Scalini after hearing wonderful reviews from friends for years. We decided to use a wedding gift at Scalini and we thoroughly enjoyed ourselves. They gave us a great table, the food was delicious and the presentation was beautiful. The service was also top notch. We will definitely be back for our anniversary dinner. One of my favorite places to eat. Always great food and service! A wonderful evening with outstanding food, pleasant service, great value especially the wine, pleasant atmosphere with comfortable background music. 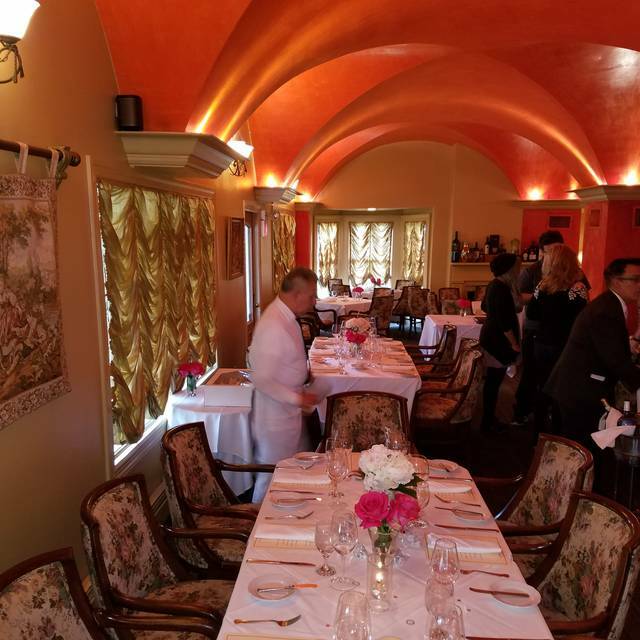 Each course was exceptional along with three complementary courses: a shrimp amuse bouche, fabulous palate cleanser of sorbet and fruit, and out of this world cookies, chocolate nut candy bark, and biscotti along with dessert. 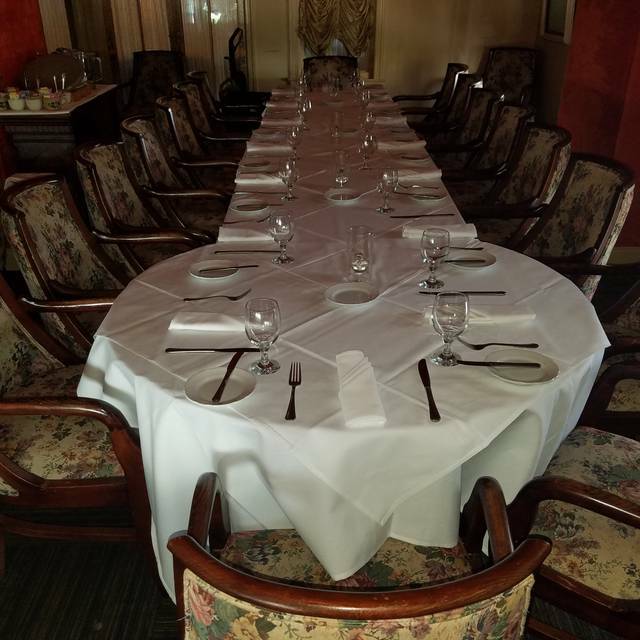 We have enjoyed Scalini Fedeli for dinner & special events for nearly 20 years. They never disappoint. It's always our first choice over all the wonderful restaurants in New Jersey. Food never varies from the finest preparation no matter the dish. Taste and presentation was excellent. 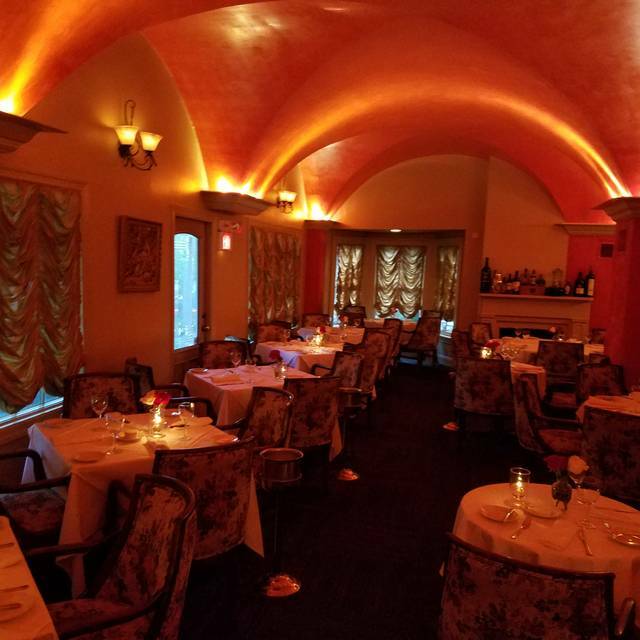 I highly recommend Scalini for a date night or simply a romantic evening out. How can you go wrong? 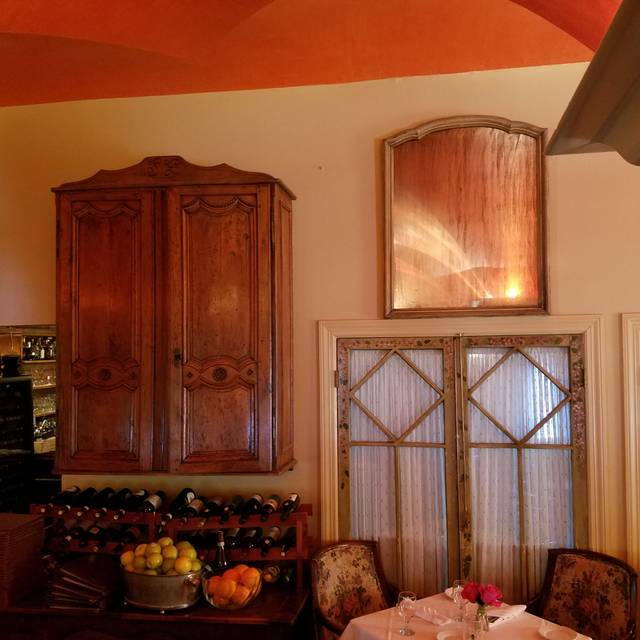 The food is fantastic, the service impeccable, and the dining room is beautiful. This is one of my favorite restaurants. All the food was well prepared and creative. The desserts were outstanding . Bernard was a personable and knowledgeable waiter and always available. We enjoyed the Sardinian gin, too, as a martini. Bravo to all. One of my favorite restaurants. Great place to entertain family and friends. We lunched during the week with group of five seeking good food and quiet ambience. We were delighted with SF and look forward to return visits. Ony minor disappoint was one pork chop dish which was a thin chop rather than a heavy one and as result was a bit drier. Salads and other dishes ordered, inclcuding duck and scallops and all were very satisfied; Deserts outstanding. Notice the high ratings, so we wanted to give it a try. Nice ambiance and interesting yet small menu. The one shrimp you receive as a compliment when you first sit down was tough. We both had a different pasta first course, which was very good. My main course was Veal Scalloppini and it was tough, but pretty good flavor. My date had the duck and said it was ok. The service was average. They were busy, but it was a Saturday night. However, my date left to use the ladies room and they served the first course when she wasn't at the table. Also, they never refolded her napkin while she was away. They would deliver the food and tell you what it was (not the waiter) and you could not understand what they said and they didn't look at you while they said it. It seemed like we were a nuisance and my date agreed. Maybe it was a bad night, but honestly, I would not recommend it. Expensive, loud, and nothing to rave about in my view. Excellent as usual! Even though we had a reservation we had to wait about 20 min for our table. So we had a cocktail and sat in the front. Food was spectacular. Service was perfect. Scalini does not disappoint when you want a really good meal. We went on a Saturday night. It was the most crowded that I've ever see it (and loudest). It did create a slower service for the night but we were fortunately not in a hurry. Nice place for a date (we were celebrating our anniversary) or with a group. We will be back. One of my favorite dining experiences! Parking by valet makes it a simple in and out allowing one to focus on the event rather than fussing over parking. I’ve dined here many times and will so many more! We have had the pleasure to have dined at Scalini many times but this evening was amazing. Service was top notch and food was soooooooooo delicious! Every course! Outstanding service and our meal was scrumptious! Can’t wait to return. Scalini Fedeli never disappoints! Always amazing service and the food is delicious! Loved every part of our evening!!!! Can't wait to come back!! Very expensive for typical food selections. The food was delectable; however, not worth the cost. There for my husband’s birthday with another couple. We love Scalini Fedeli and have dined there several times over the years however my filet mignon was prepared medium rare instead of medium. Luckily my friend’s husband was hungry and ate my portion. In addition, my husband and I always enjoy a seafood crepe that is a specialty item on the menu and instead one two crepes, there was only one. I guess they have decided to downsize the portions which is unfortunate. Other than that, we had a spectacular evening as usual. I will always consider Scalini Fedeli one of my favorite restaurants. Absolutely delicious!!! Get the pork chop! Everything is excellent. The quality of the food puts Scalini Fedeli in a special class of restaurant at the top.